STOCK PHOTO. Each pendant varies slightly in size and characteristics. 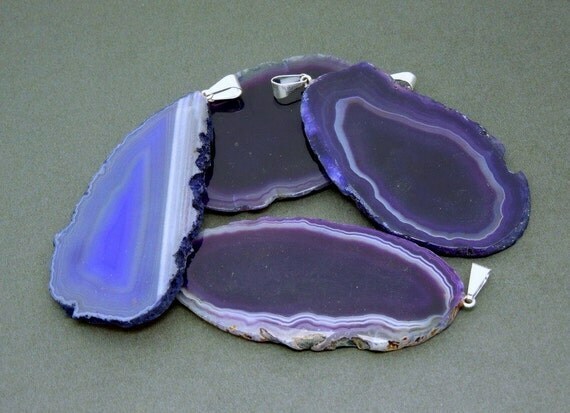 Beautiful purple hues on these agates.